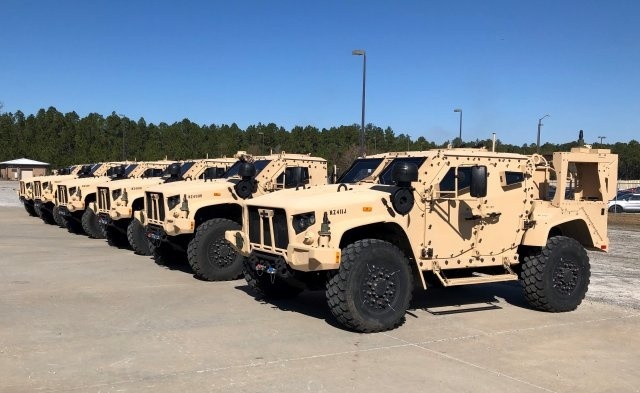 FORT STEWART, Ga. -- The first Joint Light Tactical Vehicles (JLTVs) fielded in the Army began arriving on Fort Stewart two weeks ago and the first six trucks were delivered to their respective battalions Jan. 28. 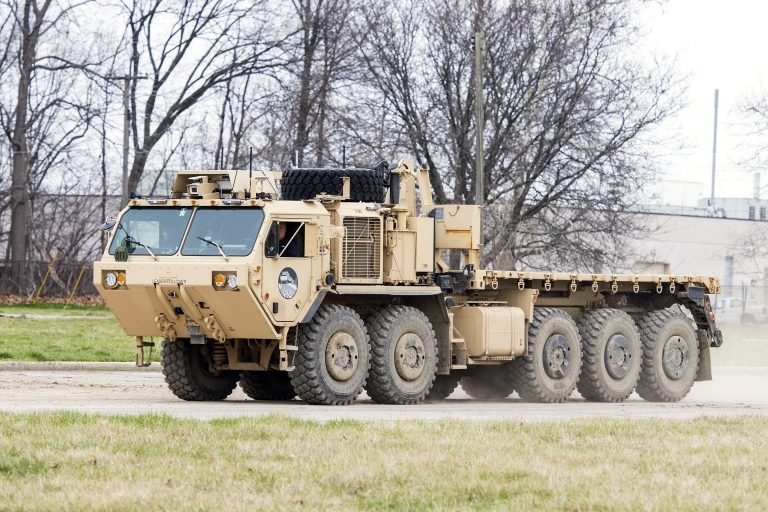 "This program has been working towards fielding trucks to Soldiers for ten years," said Col. Shane Fullmer, Project Manager for the Joint Program Office, Joint Light Tactical Vehicles. "The entire program office has been focused on getting Soldiers improved tactical mobility, with better off road, better cross country, higher reliability, more comfort inside the vehicle, and significantly higher protection." The Army is ready for unmanned vehicles but not yet for a completely unmanned convoy. The 2020 iteration is called Expedient Leader-Follower because the Army still wants a human soldier driving the lead vehicle, with up to nine autonomous trucks following in its trail. But Oshkosh and Robotic Research told me they could take the humans out altogether, if the Army wanted. 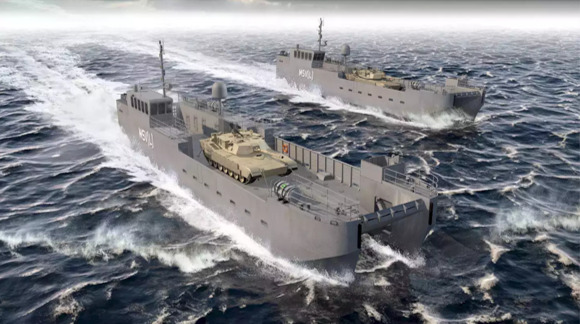 The U.S. Army has confirmed that it is reassessing the size and composition of its often forgotten fleet of logistics ships, landing craft, and other watercraft as part of its over-arching modernization plans. At least one possible course of action the service is considering appears to involve doing away entirely with all of these craft in the Army Reserve and National Guard, which amount to almost half all of all these assets within the Army as a whole. This would eliminate a significant portion the Army maritime capability at a time when it is only becoming more important, especially with regards to potential combat operations in the Pacific region.